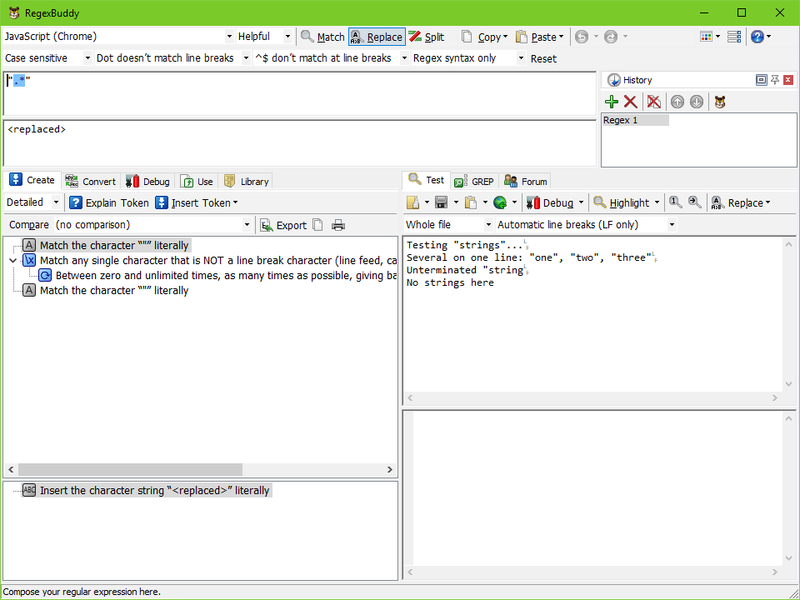 See how you can interactively test and debug a regular expression in RegexBuddy's safe regex tester sandbox. Avoid nasty surprises on live data. Create a regular expression (3'18"): see how you can easily create and edit a regular expression with RegexBuddy's regex building blocks. Let RegexBuddy deal with the arcane details of the regex syntax.